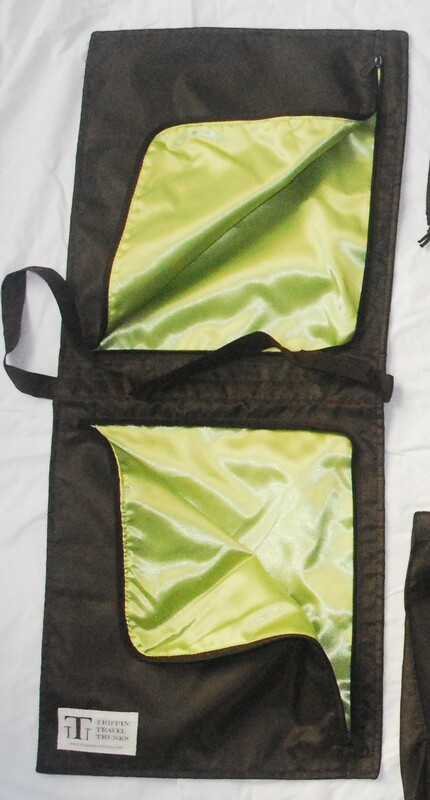 With two pockets, it lies flat like an envelope, hangs from the middle strap, can be thread through a hanger, or can be thrown over the back of a chair or a bar. This allows for easy access to items, without removing them from the bag. 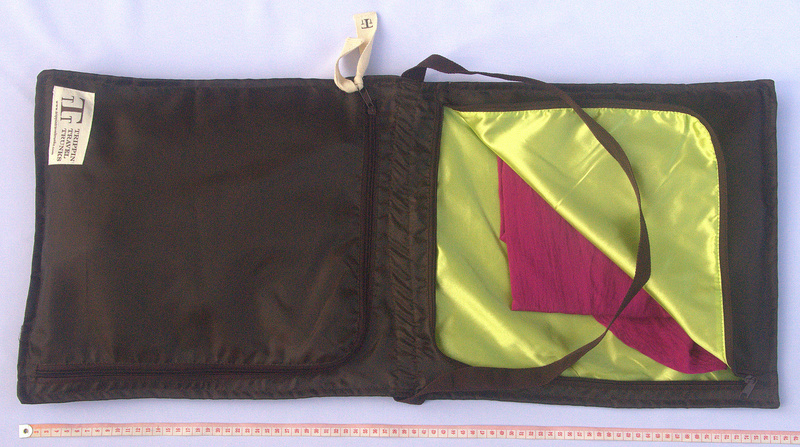 Zipper opens on only two sides of each rectangular pocket, so items won’t fall out and packing is quick and easy. Because the bag is flat, it can hold items snug, which means less wrinkles. The silky lining also helps with this. 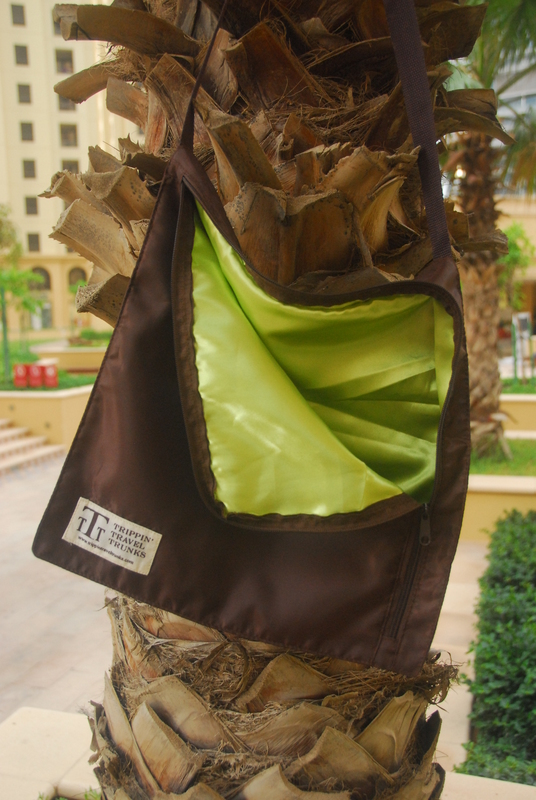 A great alternative to or travel accessory for a garment, gym, or overnight bag. Ideal for a long weekend away or business travel. Put tops on one side, and bottoms on the other. BUY it. This is how to care for clothes, stay organized, and protect a little of your privacy when traveling. With TTT, home is anywhere you need it to be, want it to be. TTT quality materials: Fabrics are machine washable. The outer skin is water resistant, yet strong, flexible and lightweight. The lining provides a dash of color, a luxurious feel, and another layer of protection. Straps are sturdy nylon, in the same dark chocolate brown a the skin. Zippers are of the highest quality, sliding easily and will continue to work over time without snagging or deteriorating. To shop for the TTT 2nd Drawer, click here.